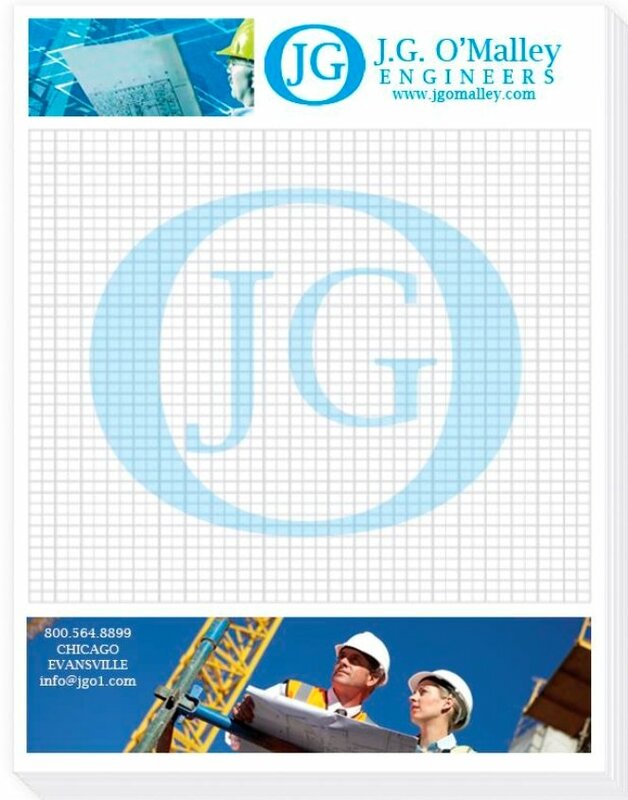 Executive style notepad for corporate advertising or marketing notepads. Notepad features are white 50 lb. paper, 50 sheets, chipboard backer. Overall 8 3/8" wide x 10 5/8" high. Notepads bulk packed in carton. Executive notepads delivery from date of order is 3 weeks. This notepad is Made in the USA for quality products. Price includes almost unlimited print colors in area 8 1/8" w x 10 3/8" h.
No Factory Setup Charge. Printing is four color process printed. Requested Pantone colors converted to closest 4CP Color.